The San Francisco Bay area is a lovely place to visit, but lately, the pristine shorelines have been marred by hundreds of dead sharks, rays and fish. It began in early spring, when 800 or so leopard sharks -- a harmless-to-humans species that tends to hug the coast -- began beaching themselves. As time went on, other fish and even other shark species began washing up and dying as well. Initially a mystery, it's only now after multiple tissue tests by California Department of Fish and Wildlife biologists that we have a potential answer: a fungal pathogen that invades the brain and disorients the shark, causing it to swim onto shore. Researchers have found the fungus or evidence of the fungus in multiple corpses. 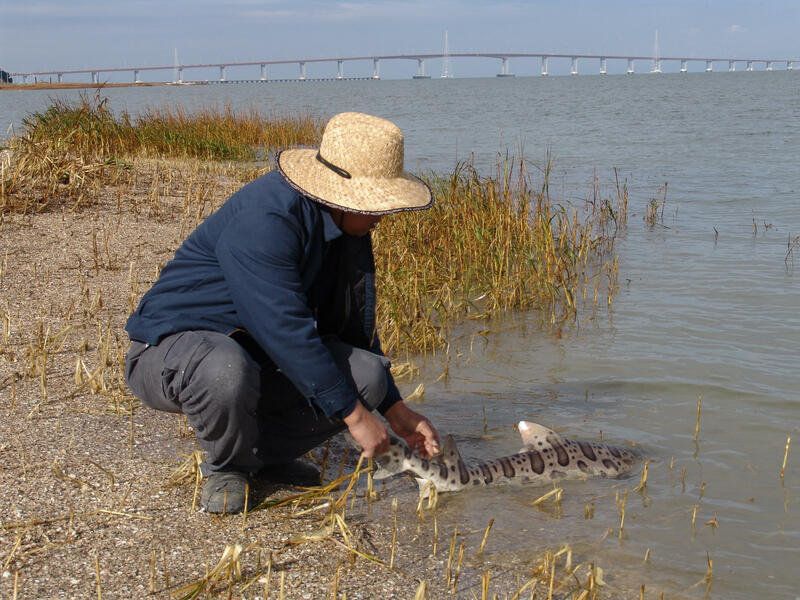 More research is needed, but we know that the pathogen (of the Penicillium genus) thrives in stagnant and shallow waters, the same waters where leopard sharks go in the spring to mate and have pups. It's possible that the excessive rains that California experienced in spring 2017 flushed the pathogens into -- or lowered the salinity of -- the Bay Area's seas, which would make the sharks vulnerable to infection. Another theory is some sharks were caught behind the closed floodgates of tidal basins. Once the water there became stagnant, it became the perfect breeding ground for fungus. Infected sharks then contaminated healthy ones once the floodgates were opened. Of particular concern, too, is not only that the fungus is affecting a great number of leopard sharks; it's also spreading to other species like the seven-gill shark. Seven-gills live deeper in the ocean, so scientists would be less likely to come across their dead bodies. And so it's probable that we're not talking about hundreds of dead sharks, but thousands. But if a single fungus is to blame, it does mean that scientists may be able to some day measure its levels in the water and take steps to predict when the concentration becomes lethal, and so hopefully prevent this kind of massive die-off in the future.